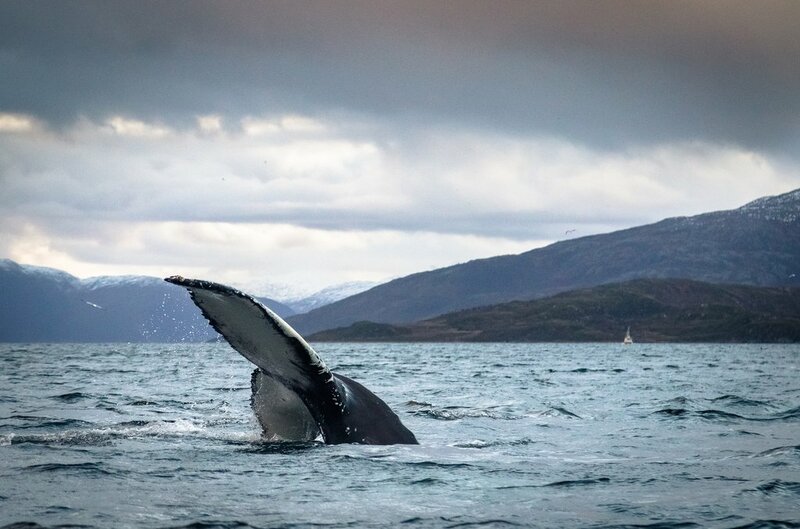 Norway is home to untamed wilderness, and its animal inhabitants—from reindeer to humpback whales—are some of the country's star attractions. It can take a little planning to come face-to-face with them, and usually lots of patience, but encountering these rare species is a great reward. Here’s your ultimate guide to spotting Norwegian wildlife. 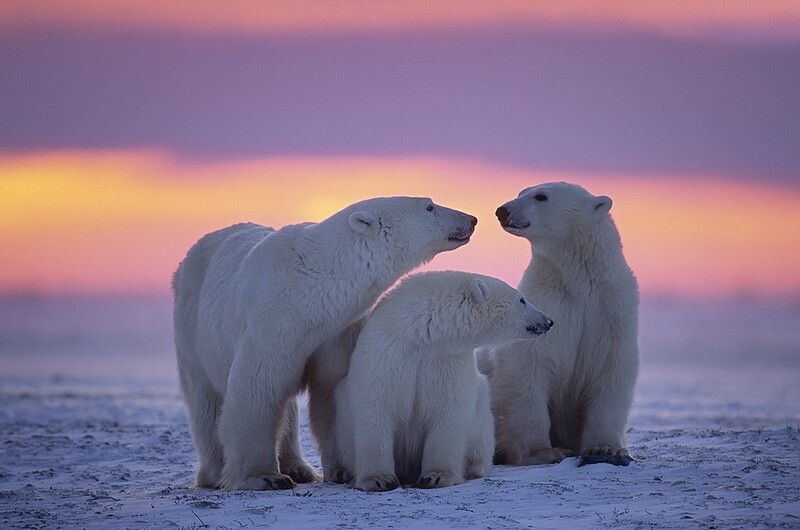 No doubt about it: polar bears are the undisputed kings of the Norwegian wilderness, although their numbers have dwindled in recent years due to climate change. But there are still plenty of opportunities to see the world's largest species of bear, with the average male clocking in at almost 8 feet tall. For your best chance at a sighting, head to the far north, where they can be found prowling the ice floes off the islands of Svalbard in search of prey—and where they even outnumber residents. 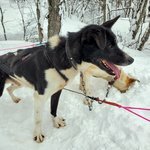 You can also plan on traveling north of the Arctic Circle on continental Norway, home to several large wildlife reserves. But be warned, if you're determined to get up close and personal: these bouncy, white-coated bears are not as cuddly as they look. 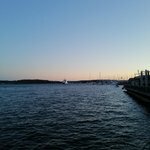 Anyone who's ever traveled by boat knows what it's like to look out onto the water, hoping to catch sight of a tale breaching the waves. In Norway, you have a very good chance of making those dreams a reality. For your best shot at seeing whales, avoid the more trafficked southern coastlines, where industry ships trawl for salmon and cod. Head up north and you'll find waters teeming with the giant, sea-dwelling mammals. Try your luck near the shores of Lofoten and Vesterålen, two archipelagos off of Norway’s northern coast, which draw minke whales, orcas, pilot whales, humpbacks, and sperm whales. Sometimes even a couple of hours on a whale-watching expedition is all you need for a great sighting—and to snap an unforgettable photograph. 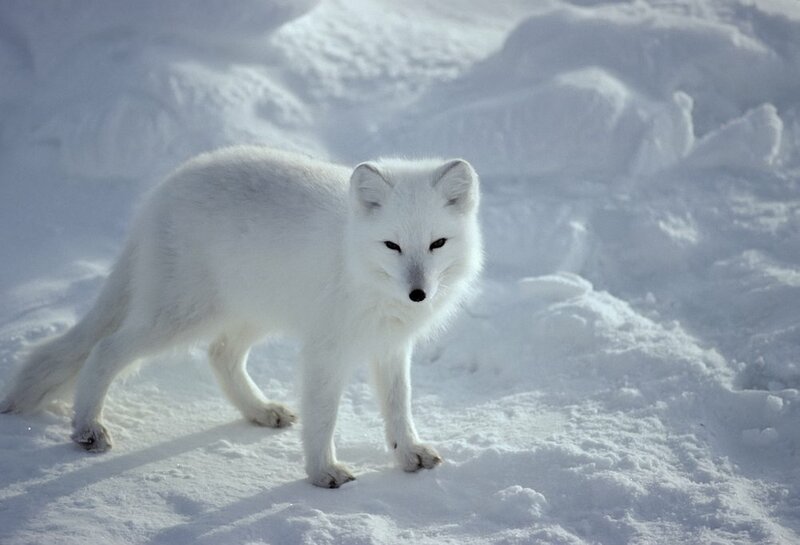 In terms of sheer cuteness, arctic foxes are hard to beat. With their snow-white fur, bushy tails, and pointed ears, they look like magical creatures from a fairytale. They're also mysteriously elusive, with a notoriously soft tread—but rest assured, they're real. And luckily, there are a few areas in Norway where you have a good chance of spotting one. 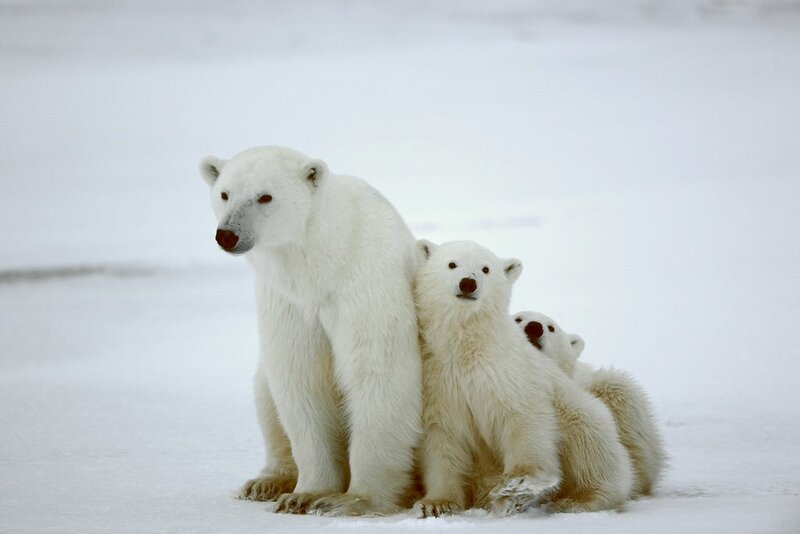 You can try to double up on polar bear and arctic fox sightings in Svalbard. Or you can head above the Arctic Circle to Saltfjellet-Svartisen National Park, home to mainland Norway's largest glacier. They can also be spotted close to the Swedish border in Borgefjell National Park, a rugged nature preserve in the extreme northern reaches of the country. Arctic foxes are listed as critically endangered, but programs to breed new pups have proven successful. We can only hope their numbers continue to increase, as the adorable creature plays a crucial role in Norway's ecosystem. Africa boasts the mightiest—and most famous—of the big cat species, but the Eurasian Lynx is Europe's own addition to the tribe. The fierce night-hunters have been known to even take down deer, but there's also something comical about these speckled creatures with their feathered, pointed ears: they look like they might curl up and start purring, just like your pet cat back home. 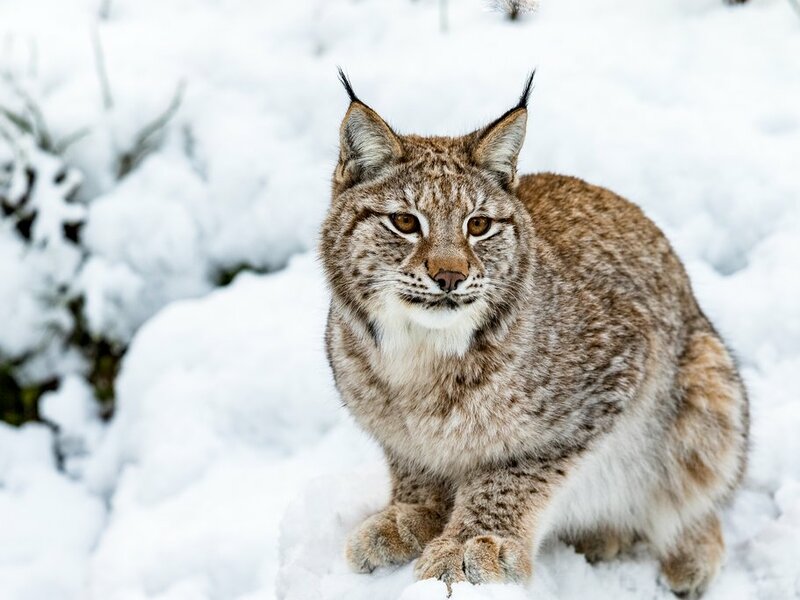 Border-crossing lynxes roam between wide swathes of territory in Norway, Sweden, and Finland, so these three Nordic countries have all pledged to protect the snow-loving feline, whose population numbers have fallen. But you can still spot them in several parks in northern Norway, including Reisa National Park, Øvre Dividal, and Stabbursness, which offers spectacular forest trails for hiking. Norway's coasts contain large resident populations of both endearing sea mammals, which come from the Pinniped or “fin-footed” family. Seals are easy to spot on whale-watching boat trips, so if you're not lucky to catch sight of the main event you're still pretty much guaranteed an adorable consolation prize. The sleek creatures are often found off the coasts of the Lofoten and Vesterålen island archipelagos, where they birth and rear their young on land. Some tour operators even offer snorkeling excursions that allow you to swim underwater with the friendly, playful mammals. 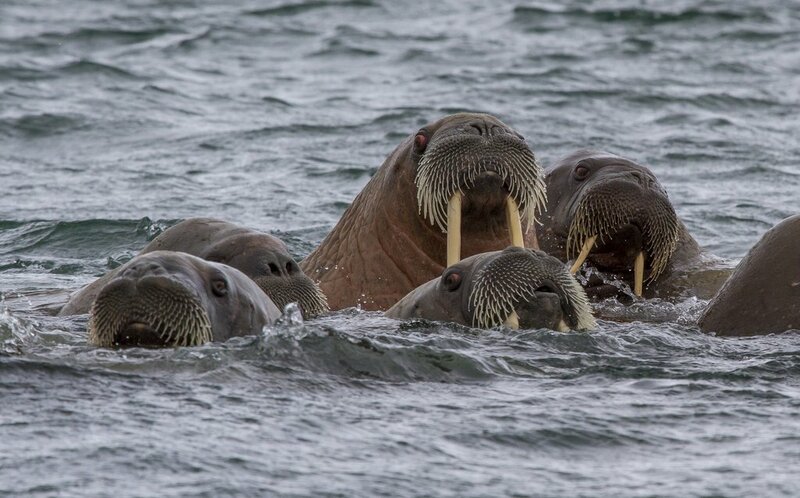 If you've got your eyes on their tusked and slower-footed cousins, then head to Svalbard, where walruses can be spotted in clusters off the coast. One of Svalbard's best spots for walrus sightings is the abandoned Russian mining town of Pyramiden, which you can visit by boat on a day trip from the arctic coal-mining town of Longyearbyen. If you're traveling through northern Norway, you won't have any trouble catching sight of reindeer. In fact, you'll have more trouble trying to avoid them than to spot them. The indigenous Sami people, who live above the Arctic Circle in Norway, Sweden, and Finland, have long relied on reindeer as their primary food and income source. They're as plentiful as deer in North America, and you'll even see "Reindeer Crossing" signs posted along country roads. 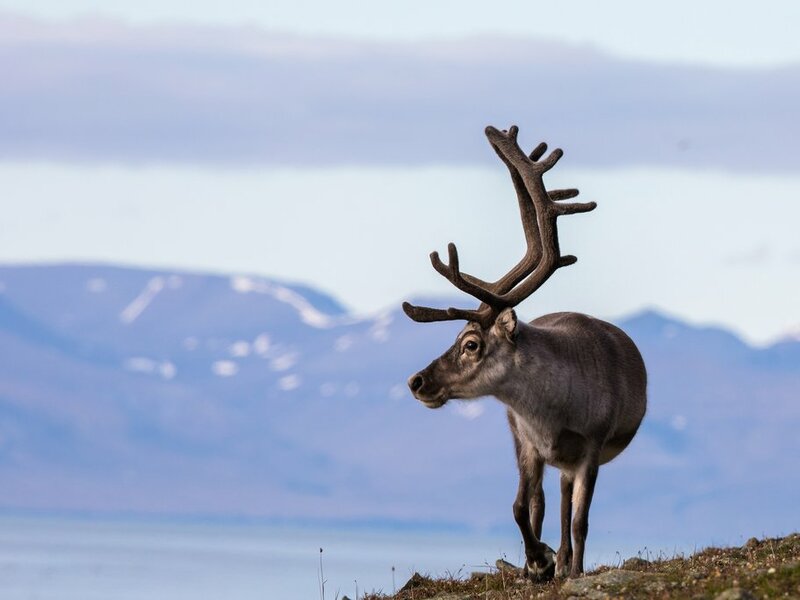 Since reindeer make up an important part of Sami culture and traditions, your best wildlife encounters are likely to be on a guided excursion to visit the Sami, available at various locations in northern Norway. Further south, reindeer can also be spotted in several national parks alongside their antlered brethren, the moose or elk. Get a peek on a guided safari in Ånderdalen National Park or on Andøya, the northernmost island in the Vesterålen archipelago. Although a wildlife trek probably won't whet your appetite, reindeer are also a Norwegian delicacy. 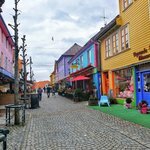 For more on Norway's top foods, check out our article, "What to Eat in Norway (And Where to Eat It)." The good news is that birds are everywhere in Norway, so there's no need to travel far to see them. The bad news—as every birder well knows—is that the winged creatures can take off in flight at a moment's notice, meaning sightings still require time and planning. But with the right guide and location, you can tick off any number of Norway's 300 bird species. 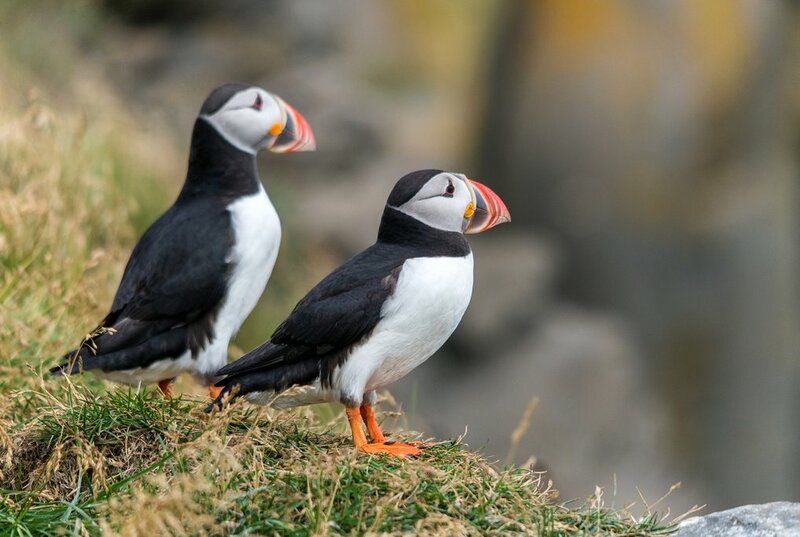 Down Norway's coastlines, bird colonies often number in the thousands, including the adorable, clown-faced Atlantic puffins, which are most likely spotted off Svalbard and Vesterålen. You can try your luck on a boat safari off Gjesvær—near Nordkapp—to catch sight of creamy white gannets, white-tailed eagles, and great grey owls—the world's tallest owl species. The tiny Arctic warbler, which only comes out to sing two weeks a year in June, can be seen—or more realistically, heard—in Finnmark, near the Russian border. Skomvær, one of the Lofoten islands, is the best location for spotting the British Storm Petrel and Leach's Petrel, two varieties of seabird. Keep quiet, stay still, and have a telephoto lens or binoculars with you.